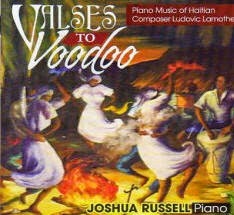 "This audio CD features piano music by Haiti’s best known composer, Ludovic Lamothe. The music is a fusion of Latin-American dances, imitation of Voodoo drumming and ceremonial music, and European classical styles reminiscent of Chopin. Half of the proceeds from this recording will go directly toward rebuilding Haiti’s primary music school that was destroyed in the earthquake on January 12, 2010." 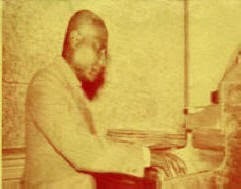 Ludovic Lamothe is one of Haiti's most renowned classical composers. He was born in Port-au-Prince, his country's capital, on May 12, 1882. Both of his parents were pianists, and Ludovic took his first piano lessons from his mother. Vodou Nation: Haitian Art Music And Cultural Nationalism, written by Michael Largey, and published by The University of Chicago Press (2006), is an important reference source for his music.